When one takes a brief glance at the colourful roles Sean Penn has played throughout his acting career, it is of little surprise that his directing career would be similarly eclectic. Yet, regardless of that, it is easy to see why something of such weighty subject matter as Into the Wild would appeal to Penn, or any director. It reeked of Oscar potential but was largely overlooked and it also bases itself on the actual life of Christopher McCandless: a twenty-two year old fresh graduate of Emory University who abandoned his family, friends and money to venture into the Alaskan wilderness. The death of Christopher McCandless in the wilderness just two years after his graduation adds a poignancy and relevance to his life that only further testifies to the draw that something of this raw calibre would hold for a director. Penn’s handling of the movie is suitably stripped back relying solely on real locations and credible actors to deliver the story’s authenticity. 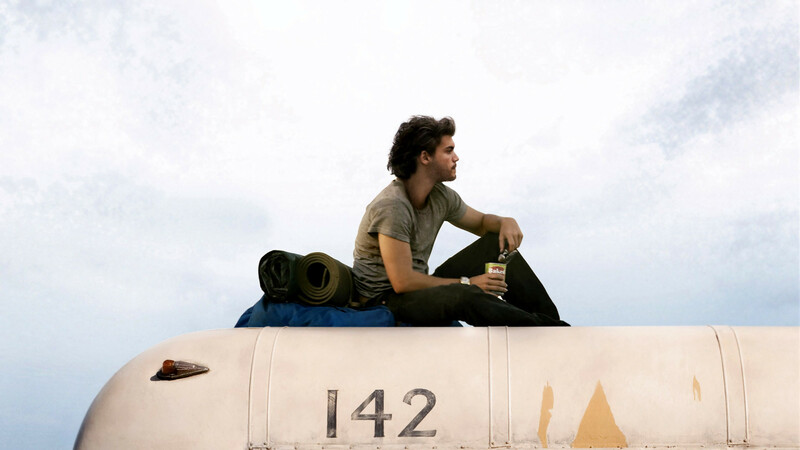 The casting of Emilie Hirsch, in particular, as the protagonist McCandless is the strongest aspect of Into the Wild. As well as bearing a notable physical resemblance to Christopher McCandless, Hirsch, who at the time of the film’s release was only twenty-three, was fresh-faced enough for Penn to capture on screen the transformation of boy to man that would naturally occur over two years of extensive travel. Hirsch’s performance, under the guidance of Penn, is remarkably honest. It would have been all too easy for Penn and Hirsch to martyr McCandless but instead they make sure to include all the flawed aspects of his character too. For all his courage and humanitarianism, McCandless made no efforts to contact his family in the two years of his travels and his trip into the Alaskan wilderness, where he eventually starved to death. The film does not hesitate to highlight his recklessness and naivety towards the perils of the wild. Penn is careful not to judge Christopher’s actions, but instead just to capture the truth of his life and all the good and the bad that makes it up. Catherine Keener and Hal Holbrook as Jan Burres and Ron Franz – two of the many faces Christopher encounters along his travels – deliver especially vulnerable performances as two people who offer Christopher the familial love his own parents failed to wholly provide. Jena Malone, acting as Christopher’s sister and narrator, gives a subtle, gentle performance contrasting starkly with the scenes depicting the harsh climate of the Alaskan wilderness. The move to ensure that all locations encountered were filmed faithfully rather than on a soundstage serves to deliver some fine cinematography of the landscape of the places McCandless visited. There are some breathtakingly beautiful scenes in Into the Wild, including a scene filmed on Salvation Mountain in California. The acoustic guitar scoring of the film is slightly jarring and a tad trite for a film that will undoubtedly be branded as ‘Indie Hollywood’. The running time of the film clocking in at just less than two and a half hours brings about a lag at times in the fluidity of Into the Wild. That aside, Penn’s direction and a strong cast ensure that Into the Wild, much like its protagonist, will not be forgotten.